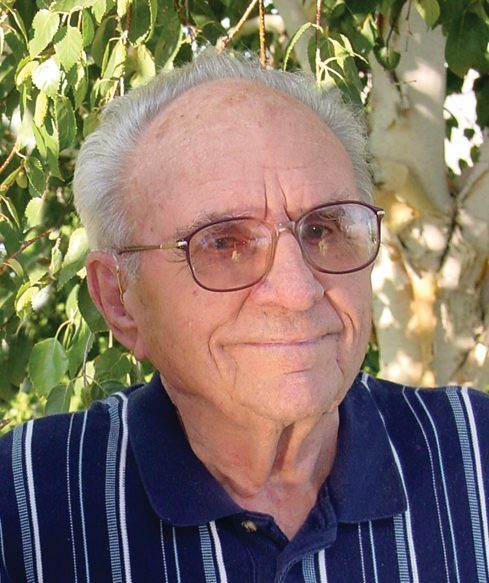 Aaron Wilbert Fauth passed away peacefully on December 31, 2017, at age 96. He was born to John and Pauline Fauth on May 5, 1921, in the Baylor community north of Glasgow, Montana. When Aaron finished the eighth grade, he moved with his family to Glasgow and attended the trade school at Glasgow High School. In 1942, he enlisted in the US Army and was trained to be a radio operator and mechanic. Upon completion of his training, he was transferred overseas to serve in World War II. Aaron was stationed in France, Belgium, and Germany when the war ended. In 1946, he came back to the States, was discharged from the Army, and moved to Toppenish, Washington. In 1950, Aaron married Gladys Tilley Moore, a widow with two young children, Delores and Amous, and did custom farming for many years. In 1962, he went to work for Dekker Farms in White Swan, Washington, as a mechanic. Aaron also pastored the CoG7 in Toppenish for several years. Upon Gladys’ passing, Aaron moved next door to his son, Timothy, and daughter-in-law, Lintena. For the past year he was living at Brookdale in Yakima, where he enjoyed visiting and getting to know fellow residents. Aaron loved the Lord and enjoyed reading his Bible, watching Gaither Homecoming videos, and telling stories of his service in the military. He was also very proud of his family and loved to tell others about them. Aaron loved to study maps and was a great resource for recalling historical details. Aaron and Gladys had five sons (Timothy, Nathan, Mark, Ornan, and Terry) and were married 61 years at the time of Gladys’ death at age 92. Aaron is survived by two brothers, Reuben (Gertie) and Sammy (Mary); son Nathan (Tamera); daughter-in-law, Lintena; Delores Moore (Henry) Schelert and Amous (Gail) Moore; 13 grandchildren; and numerous great-grandchildren, nieces, and nephews. He was preceded in death by his parents, two brothers, one sister, wife, and four sons.